I've been opening up a lot of Certified lately on Retail Review, so I thought I'd switch it up a bit today and go with some Black Diamond from Upper Deck. Black Diamond is a brand that makes it very difficult to pull anything out of. I'm pretty sure that'll hold true today as well, but that's why we play the game! Anything can happen on any given Sunday, right? 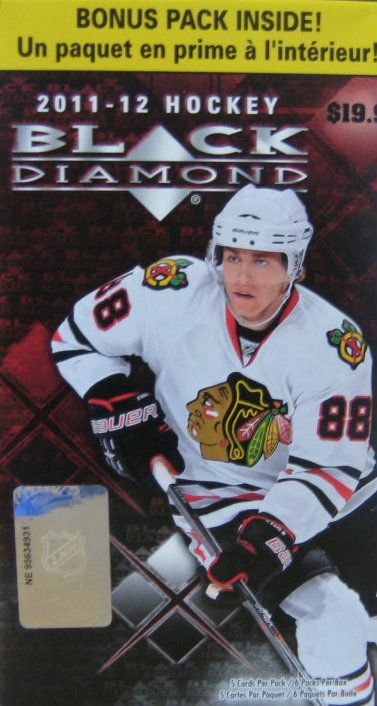 I remember 2011 as the year I bought a lot of Black Diamond trying to get a Ryan-Nugent Hopkins quad diamond rookie card. Did I get one that year? Nope! So I guess there's still a chance if I keep buying Black Diamond now at its new discounted price. These blasters are now around ten dollars, but I think they could probably take a little more of a price drop. Something in the seven or eight dollar price range is appropriate for this I think. Nope! There was no RNH... and surprisingly, no rookie card either here. 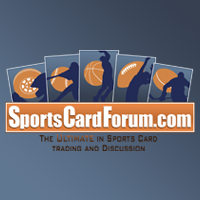 I typically expect a rookie card to come out of these things. That's ok though, there was only one rookie I would be interested in finding here anyways, and the chance of that coming out was very slim. I think I'm relatively happy with this blaster though. I got an array of multi-diamond cards... including a quad! 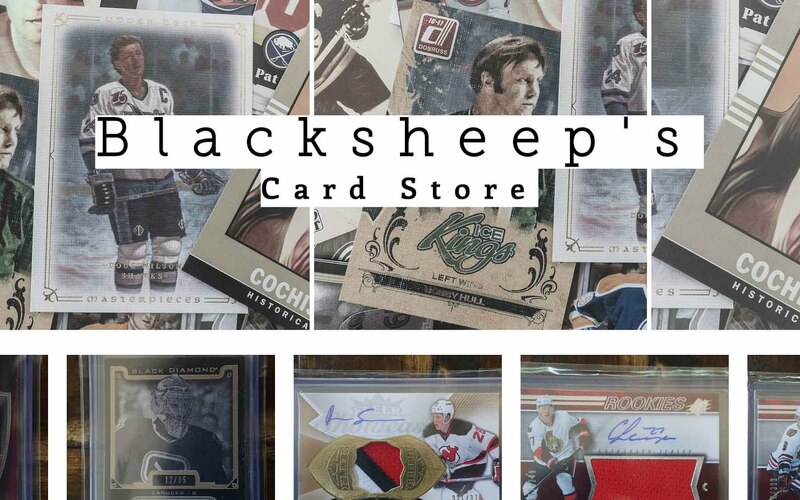 There was a Crosby base card in the mix as well. That's always a nice thing. 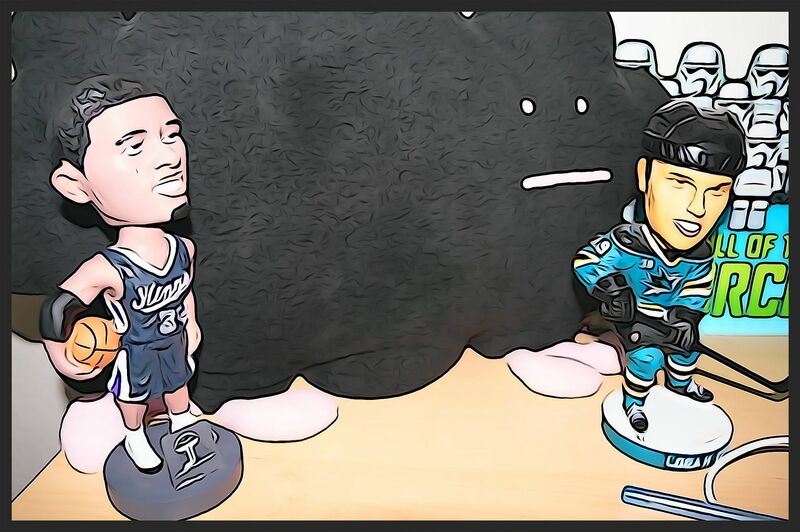 I was debating whether to put Crosby here or have Bergeron take this slot. 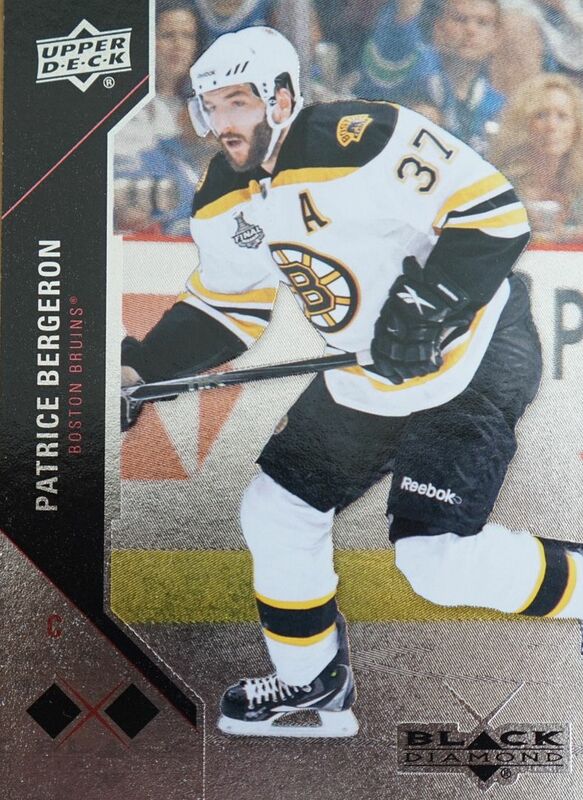 I went with Bergeron because of the double diamond status of the card. I really thought this would be the best card of the break... I'm glad there was something I liked better, but this card is a solid pull from Black Diamond. Teemu has been following me around this week I guess! 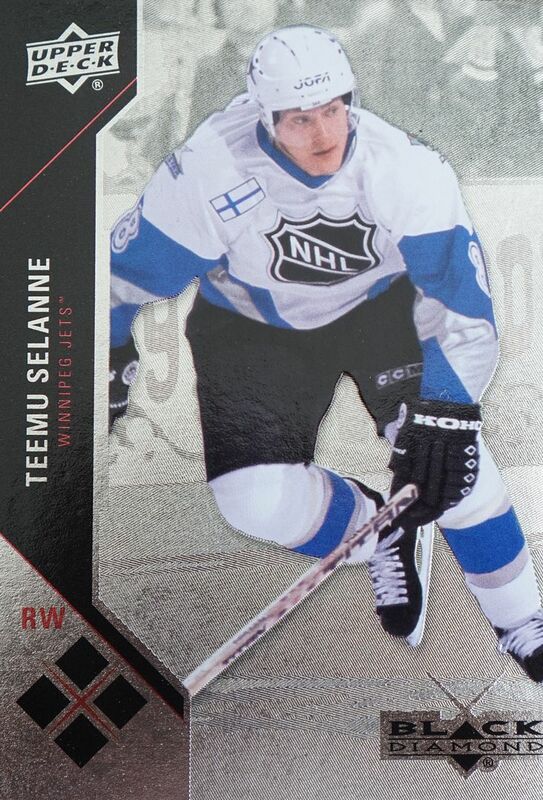 This is a sweet card as it features Selanne in his All-Star uniform. That year all the quad diamond vets were shown in All-Star gear. This makes for a fresh look. I think for ten bucks this blaster was alright. 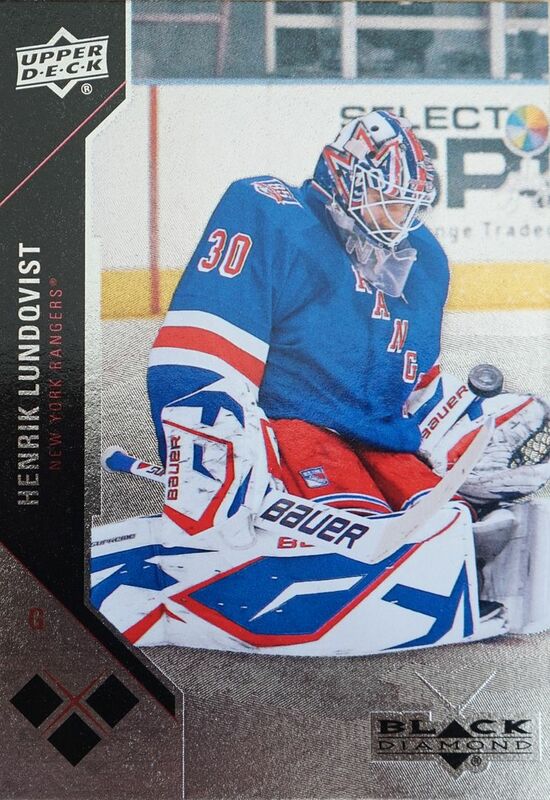 The Selanne card definitely helped me like this blaster much more than if the triple diamond Lundqvist was the best card found. I definitely could have done much worse than this blaster, so all-in-all it was a good break. Never got anything good other than some rookies that never went anywhere and an average of one multi diamond per box. Teemu is the hit. Great player!